Academic papers I’ve written on various topics. ‘Twas the night before Spring Weekend…. ‘Twas ol’ John Bryant, arms laden with liquor! “Now! André, now! Franzia, now! Jack and Jim Beam! On! Natty, on! Keystone, on! Burnett’s Whipped Cream! And up before noon is no longer possible. Spring week had a many many lessons. Another Year just Another Cycle? To those with a sharp memory, the summer of 2014 so far has had some all too familiar headlines. From the Israeli – Palestinian conflict in the Middle East, the death of over 290 innocent commercial airline passengers, disease outbreak in West Africa and now the re-defaulting Argentinians. The common cliché would remind us that history repeats itself. However, the saying is often used in a greater sense with reoccurrence decades maybe even hundreds of years later. This summer we have seen Anderson Cooper report on Gaza and the Israeli – Palestinian conflict for now the fourth time after seeing this issue arise again and again in 2006, 2009, and 2012. We have seen Malaysian airline flight MH17 get shot down over a warzone in eastern Ukraine resulting in the tragic death of over 290 innocent lives. However, even this, is not something new. In 1983, some may remember Korean Air flight HL7442, shot down by a Soviet Su-15 fighter jet resulting in the loss of 269 innocent lives or in 1988, 5 years later, when Iranian Air flight EP-IBU was shot down by a US Navy guided missile resulting in the loss of all 290 people on board as well. Most recently, the media has caught up on a growing Ebola outbreak in West Africa that has been surviving and brewing since 1976 that has claimed the lives of thousands. This all sounds disturbingly familiar. Lastly, what has been flying under the radar for most are the Argentinian debt talks….again. July 29th was the first time in many years the country has agreed and not denied face-to-face talks with bondholders in Manhattan, New York. After hours of negotiation yesterday, both parties still have not reached any resolution, a day before Argentina faces an almost inevitable default. After being shunned from global credit markets since its default in 2002 on $100 billion, Argentina still has not learned from its mistakes. In a country that is already in a recession many suspect that it will not hurt any markets other than its own. Yesterday’s meeting was the first of in more than three weeks that Economic Minister Axel Kicillof decided to show up to negotiate which obviously questions Argentina’s commitment to even reach an agreement. Besides continuously declining invitations to negotiate, Argentinian economic officials have criticized US bondholders and investors as “vultures” tearing at the scraps of its distressed debt and possible default. Amongst the negotiating now lies a myriad of legal clauses such as RUFO, rights upon future offers, that US court judge Griesa has been asked to stay, which would’ve incentivized the terms for bondholders already offered the debt restructure. Speculators say that not extending Argentinian debt would have a greater impact than many foresee, especially for many of its South American neighbors. However in the coming 48 hours it will be interesting to see what is decided and how everything is resolved. It seems to many that beyond this reoccurring Argentinian default, is not only a mismanagement of capital and poor leadership but also an ego that has brought Argentina into these situations in its financial history over and over again. Possibly due to a fear of foreign influence and dependency, the South Americas have always regarded foreign entities as bullies or in this case “vultures.” Nonetheless it will be interesting to see how things pan out for both sides. How much longer will some of these issues continue to cycle? Will some type of bulletproof agreement or resolution ever finally bring peace Gaza even though many ask if anything ever will? Will Boeing and other commercial airline manufacturers finally decide to designed precautionary anti-ballistic measures to avoid airlines from being shot down? You would think that by now like many others, a disease that’s been actively around since 1976 whose source and cause is known would have been eradicated. How much longer will Argentina continue to default instead of being able to responsibly manage their financing? 2014 so far, for many people has been more of the same, but with many of these issues still in the air as of today, one can only hope that many of these issues finally can be resolved or prevented. The article that struck me for this insight was the BusinessWeek’s piece on Fiat’s new “Baby Jeep.” Having driven my cousin’s new Jeep over spring break I was able to witness Jeep’s new “Fiatness” first hand. Facing a struggling Jeep product line with the Cherokee and Liberty, Fiat decided to revamp and reconsider their product strategy. This Tuesday Chrysler Group reported that it sold 26% more “baby” Grand Cherokee’s last month than it did in the year prior. In addition to the new strategy taken towards their product line, a new Jeep Renegade was introduced last month in Geneva, another Fiat inspired smaller cheaper option. As a product line, the small SUV /compact crossover grew from 9.7% to 11.6% nationwide. It is undoubtedly Fiats new ownership position over Chrysler Group that is facilitating all these changes as well as a shift in consumer demand. Since Fiat, being born and raised in Italy, specializes in high performance, high efficiency and compact size at a reasonable price these changes come much easier due to Fiat’s background. This article goes ahead and vaguely explains the change in strategy and direction taken by Chrysler Group in regards to Jeep’s product line as well as its recent success. It continues by inquiring how interesting it is that Jeep sold more of a mini, less powerful version of the earlier Jeep Cherokee, obviously at a lesser price. This article touches upon a lot of what we’ve talked about in class in terms of product in relation to the consumer, management strategy and even company acquisition. Within the past year, Fiat finalized its acquisition of the American car manufacturer, Chrysler Group. Seeing the struggling and long famous Chrysler, Fiats management saw an opportunity in the shifting American market. An acquisition that many thought of to be foolish and suicidal due to Chrysler Group’s financial problems. However, Fiat saw something that many did not. For years Fiat has been trying to get into the American market, but due to its small, weak and somewhat “not tough” image it has struggled to do so, but now was their opportunity. For years now the American car market has demanded big, tough, tech advanced, sometimes excessive and gas guzzling vehicles. However, since the financial crisis in 2008 and 2009 there has been a change in this trend. Besides the rise in the price of gas, many American consumers demanded more fuel efficient cars without sacrificing too many of the luxuries of what they were used to. This is where Fiat came to play approximately 3 years ago when it made its first move towards acquiring Chrysler Group. Fiat management saw an opportunity and seized it. What this article illustrates is the results of Fiat’s revamping of Chrysler Group, one product line at a time. Taking their changes very cautiously, the new Jeep’s may not be the powerful 8-cylinder, 16mpg Cherokee it was a few years ago, but instead the smallest Cherokee model which I had the opportunity to drive was a 4-cylinder, front wheel drive, Cherokee earning a 26 combined miles per gallon. Lastly, besides aforementioned concepts above demonstrated by Fiats acquisition of Chrysler Group, Fiat along with Chrysler management have noticed this shift in the American car market and have successfully started integrating changes to react. This re-strategizing, revamping and reaction to the market demand is a key concept or attribute to successful management. I loved this article for a few reasons. First, may be the most obvious, being Italian and growing up around Fiats, seeing Fiat do well for itself while providing consumers their needs is awesome. Secondly, it demonstrates perfectly how to identify an opportunity, in a very forward looking perspective and taking advantage of it. Thirdly, it also presents a longer more complicated mode of entry through an acquisition. Through the acquisition, Fiat was not only able to take a look at what Chrysler’s weaknesses were and work on them but also introduce their line of small fuel efficient cars and witty Fiat 500 commercials. Lastly, although somewhat repetitive in terms of what I took from my last insight as well, is the uncanny interconnectedness between the concepts being presented in class and the real world. While identifying what was going on beyond what the article clearly stated, it was interesting to see the farther I peeled into the facts, the more layers and concepts I was able to identify and connect to the article. Out of all the assignments I’ve had over the years, it is ones like these that I’ve always learned from the most because they are the epitome of connecting what goes on in the real world to what is being taught in the classroom and without this connection, most of the time what goes on in the classroom goes unused or unseen because no connection is ever identified. So I can say without hesitation that articles like this and the analysis of articles in general contribute highly to my understanding of concepts covered in class. Stock, Kyle. “Fiat’s ‘Baby Jeep’ Strategy Pays Off.” Bloomberg Business Week. Bloomberg, 01 Apr. 2014. Web. 02 Apr. 2014. When it comes to Italian culture, there is something truly special about the role that grandparents, or Nonni, play. The Nonni are looked to for anything and everything. As the quote translates above, “When nothing is going well, call Nonna,” is the mentality of many kids today in Italian society. Unlike many cultures, where a grandparent’s involvement in both their child’s and grandchildren’s lives decreases as they age, the presence of Italian grandparents in a family tends to be seemingly limitless. In fact, in many cases, grandparents provide significant aid to their own children when it comes time to raise the newest generation of the family. This aid often comes in many forms, whether it be contribution of time and experience, financial support, or a sense of emotional support and love, it seems as though Italian grandparents are constantly working to better their families. One may wonder how it is that Italian grandparents are capable of being so involved in the lives of their children and grandchildren. That being said, in most Western cultures, it is uncommon for three generations to live under one roof, however it is considered a cultural norm amongst Italians. More often than not a grandparent will either live with their son, daughter, or grandchild. This “extended family,” as anyone with parents can imagine, this sense of constant “togetherness” can be seen as both a blessing and a burden. When it comes to the constant influx of help with child rearing, housework, and general familial connection, live in grandparents are certainly a blessing. That being said, when an adult feels as though they cannot escape their own parents or embrace a sense of independence, the feeling of burden can begin to weigh heavy on the adults shoulders. Nonetheless, the positives generally outweigh the negatives, especially when it comes to the ways in which the grandchildren benefit. In the last forty years, dynamics of Italian families and the roles that different individuals play within them, have changed drastically. Many attribute this to the ever-changing gender roles within Italian society. Up until the second half of the 1900s, Italian women, as well as the majority of women from other cultures, were seen through a purely domestic lens. Their responsibilities revolved around their children and the importance of maintaining a well-functioning home and marriage. While these are still highly important aspects of an Italian woman’s life, the past few decades have shown a drastic broadening of options when it comes to the complex role that women play. The recent evolution of the female gender role in Italian culture has allowed for an increased acceptance of women in the workforce; whereas prior to this, women were forced to choose only one path. This exciting shift often forces women to split their focus between the importance of motherhood and a successful career. While this is a highly difficult task for any parent, the ability to find a positive balance becomes possible with the help of grandparents and other familial outlets. Due to the change and advancement in roles in Italian society, the emphasis on grandparents being highly involved in family life has increased dramatically. With 40% of Italians between the ages of 18 and 28 unemployed, Italy is facing one of the worst economic job climates in its history. That being said, as the job market continues to deteriorate, having a family with only one source of income is quickly becoming a disappearing luxury in Italy. There is no doubt that as a result of the economic crisis and the change in the traditional role of women as the faithful housewife, the average Italian family is experiencing a cultural reshaping. Furthermore, grandparents are quickly becoming the cornerstone of the family. It is the involvement of grandparents that allows both halves of couples to simultaneous work and raise their children in a comfortable manner. According to a study cited by Cecilia Tomassini and Karen Glaser, “In Italy, as in other Southern European countries, around 40 percent of grandparents provide regular childcare for their grandchildren compared with less than 20 per cent in the Nord European countries” (Tomassini, Glaser). These numbers demonstrate that Italy is not alone in the rising trend that shows an enormous percentage of grandparents regularly providing childcare. By not having to pay for childcare, Italian families witness intense financial benefits. While these saving are helpful for individual families, grandparent provided child care also factors into the struggling economic situation. A 2009 study conducted by the Milan Chamber of Commerce calculated, “ savings of 50 billion euros, supposedly based on how much it would cost Italian families to find babysitters and/or housekeepers for all Italian children under the age of 14” (Gilbert, Stranitalia). The benefits that families experience with grandparents living in an extended family, only bolsters this growing trend. Due to these factors, Italian grandparents have had to take on a much more active role in their families. This role sometimes forces the grandparents to take care of their grandchildren more than their actual parents. In some cases as well, the grandparents are sometimes seen as a haven from the parents due to their more patient and “spoiling’ nature typical Italian grandparents have. Another rising trend to keep in mind is the slowly rising number of divorces in the once catholically fortified Italy. In a 2003 national survey conducted by the Italian Statistical Office found that, “new generations of grandparents are more likely to experience divorce,” indicating that now more than ever, grandparents are faced with the fact that their children are divorcing, with and without children, thus leaving both their children and their grandchildren in their hands (Tomassini, Glaser). This survey was called the “Indagine Multiscopo sulle Famiglie e Soggetti Sociali,” which is explained by Tomassini and Glaser to be a survey of “over 60,000 people with the response rate well above 90%, though is lower for very old people. A section of the questionnaire is devoted to analysis of the structure and the exchanges within family members. Information on presence, proximity, and contact with grandchildren are included” (Tomassini, Glaser). Therefore, with splitting households, grandparents are exponentially becoming more of a refuge for the children experiencing the divorce of their parents. Having a stabile home or another source of parenting becomes more familiar and comforting than that of their parents. As King also reinforced in his article Consequences for ties between Grandparents and Grandchildren, “Grandparents step in children’s family breakdowns. They are often seen as the next level of parenting or nurturing that the child identifies with.” Italian children today are not only raised by their mother and father. Every child either has their mother’s or father’s parents as well that act as parents in their everyday lives. It will be an interesting phenomenon, how these children today will grow up to be due to these circumstances. The Nonni of today’s Italy have taken a gigantic role in today’s Italian family. Without many of the grandparents of today, many families would not be able to survive the economic climate. In addition, the empowerment of women and the progress women’s rights have experienced in the last 40 years would also be at risk if it were not for the willing grandparents in Italian society. Without someone to take care of the kids, whether it is while going to work or during divorce, the Italian woman would be seriously disadvantaged without the convenience of someone to take care of their children. Without i Nonni, it would also be extremely difficult for single mothers and mothers in general to pursue careers. In the Italian culture there truly is something different about grandparents. The roles of Italian grandparents go far beyond the expected. From essentially raising their grandchildren, to being the last minute babysitter to even providing financial help. Italian grandparents live for their grandchildren, have been the glue of Italian families for the last 40 years and very well may become more and more needed as time continues. King, V. (2003) The legacy of a grandparent’s divorce: Consequences for ties between Grandparents and Grandchildren, Journal of Marriage and Family, 65, 170-183. Print. DC Reitzes, EJ Mutran (2004) Grandparenthood: Factors influencing frequency of grandparent–grandchildren contact and grandparent role satisfaction, Journals of Gerontology. Print. Glaser, Karen, Dr. “Grandparenting in Europe Project.” Grandparents Plus. Krystal, 28 June 2012. Web. 11 Nov. 2013. <http://www.grandparentsplus.org.uk/grandparenting-in-europe-project&gt;. Gilbert, Sari. “Grandparents Supposedly Saving Italian Families Millions.” Stranitalia. Petar.org, 20 Aug. 2009. Web. 12 Nov. 2013. <http://www.stranitalia.com/home/index.php?option=com_content&task=vi ew&id=237&Itemid=1>. “Report – Italian Families – FCE Preparation.” Lang-8. Lang-8.com, 9 Apr. 2012. Web. 11 Nov. 2013. Tomassini, Cecilia, and Karen Glaser. “Unmarried Grandparents Providing Child Care in Italy and England: A Life – Course Approach.” EPC 2012. Princeton.edu, n.d. Web. 12 Nov. 2013. If there is one thing that is, was and always will be constant between today and the time of the Medici, is that wealth is power and power is politics. However, talent in one does not mean talent in the other. What changed throughout the time of the Medici was exactly this. As extremely able bankers, the Medici sought power after three generations of successful, love fueled marriages. The marriage of Lorenzo the Magnificent to Clarice Orsini was the first of its kind and the turning point in Medici history. Besides the fact of Lorenzo’s extraordinary contributions to Florence and his family’s social position, the marriage was politically motivated. For the first time, the Medici family sought its power through marriage. This marriage signified the beginning of a political future for the Medici family as the Orsinis from Rome were wealthy and had blood in the Catholic Church. This change in direction would affect not only the Medici family, but eventually change the course of European history. Two results of this change were two French Queens, Catherine de Medici and Maria de Medici; both with rather interesting stories and a legacy that would transcend their time. Catherine de Medici was born in 1519, great granddaughter to Lorenzo the Magnificent. Protected by Pope Clement VII, Lorenzo Duke of Urbino and Maddalena de la Tour d’Auvergne orphaned daughter Catherine, grew up to become a very powerful lady, Queen Consort of Henry II, son of King Francis I of France. However her early life was nothing of that of a typical queen. An orphan at a young age, Catherine lived in Florence when the Medici were not the most popular family in the city. In fact, after the invasion of Italy by the German barbaric tribes, many Florentines wanted to kill off the remaining Medici; which led Catherine into living in a convent most of her youth, hiding from the turmoil that was Florence. In addition to this, after her parents’ death she was passed from the care of Alfonsina to Clarice Orsini. This childhood formed Catherine a very resolute and cold character that would attribute to her legacy as Queen of France. After the restoration of order in Italy and Florence, Catherine stayed in Rome in the hands of Maria Salviati. But it was in Rome where under Pope Clement VII, she would marry by proxy, Henry of Valois the Duke of Orleans. The Duke of Orleans, was the second son of King Francis I of France. Her time thereafter in France was rather interesting. Unhappy with her husband and without the sympathy of the French people, Catherine was a one woman army. Miles away from home and any type of family, it is here that her childhood and character would distinguish her as a very strong woman. Catherine was a woman of sport; she loved hunting and very skilled with a bow (Catherine de Medici, Frieda). She complimented her sport equally with her knowledge in science and math as well being a more than generous patron to the arts. Catherine was not the most beautiful of women but wasn’t ugly. Her features were not abnormally displeasing and she was not absolutely stunning but what was always seen was her sinister appearance. In 1536, the heir to the throne died, Francis II, leaving Catherine’s husband, the next in line. As a mother, after nearly nine years of nothing and threat of divorce, Catherine bore ten children including three later French Kings; Francis II, Charles IX and Henri III. In 1547 however, the King of France died, Francis I, putting her husband in power over France. The next few years proved extremely trying for Catherine. Besides the death of her husband in 1558, she also had to deal with her husband’s mistress, Diana di Poitiers. However, after the death of her husband she became Queen Consort of France, a regent, because her son Charles’ young age. The years following her Queenship earned her the nickname, “Madame Serpent.” As one can probably guess, this was due to her political behavior as queen. Defending not only her, who was not French but nonetheless Queen of France but also her young son during a time of religious conflict. The religious conflict in France would later be known as the French Wars of Religion that lasted from 1562 to 1598 between French Protestants and Catholics. This religious conflict translated directly into the politics of France, of which Catherine clearly had to deal with on a daily basis. While Charles IX was still king, Queen Catherine had arranged the marriage of her daughter Marguerite de Valois, to the Protestant Henry III of Navarre. The wedding took place in Catholic Paris despite the Pope’s rejection of the marriage. A few days after the marriage, on St. Bartholomew’s Day, 1572, Admiral Gaspard de Coligny, a Huguenot leader and admiral, was murdered. The Admiral’s death spurred the killing of dozens of Huguenot nobles still in Parts after the wedding, and the rounding up and massacre of hundreds of other Huguenots in Paris and then throughout France. The St. Bartholomew’s Day and subsequent massacres are regarded in history to be the work of Catherine. Historians point her motives to be that of obvious political power and stability. The resulting deaths and conversions of St. Bartholomew’s Day Massacre solidified Catherine’s son’s throne and diminished the political threat caused by the French Protestants. Protestant Henry III of Navarre became Catholic Henry VI of France, and when the half Medici Marguerite died, he married the full Medici Maria de Medici. Catherine later died in 1589 and was buried in Castle de Blois, where another Medici would one day reside (Catherine De’ Medici, Havemeyer & Malone). Catherine’s tough youth and life was not only plagued with years of war and conflict but also self-reliance and struggle. Although one of the more prominent figures of the 16th Century, her legacy will go on as the same manner in which it was created, out of violence and hardship. A later Medici daughter Maria was born in 1573 at the Florentine Palazzo Pitti, daughter of Francesco de Medici the Grand Duke of Tuscany and Joanna Archduchess of Austria. Maria also became Queen Consort of France by marrying the first French Bourbon King Henry IV by proxy, also known as the Protestant King of Navarre and then later, Henry IV Catholic King of France. Of her childhood, there was nothing very out of the ordinary for Maria other than the early deaths of both her parents. Similar to Catherine, she was orphaned at a young age and put into the care of other relatives. However, unlike Catherine she did not take to them as well. Her father, like many powerful men and Medici husbands had a mistress in which both her and her mother despised during her youth. Maria lived in Florence for the first 25 years of her life until she was sent off to marry Henry IV of France at the age of 18. Nicknamed “the foolish,” she as well was not particularly liked by the French people. However, unlike Catherine who was cultured and had a strong nature, she was uncultured and frankly unintelligent. Her figure was short and stubby with blond hair. She unfortunately had the characteristic bulging Medici eyes and with age she slowly became fat and inelegant, not a typical French Queen. Having another Queen from the Medici family made Florentines ecstatic, unlike their French counterparts. The French counterparts had reason to hate her though. She was known for spending outrageous amounts of taxpayer money for vanity and the famous artist she provided thousands in patronage to, Rubens. During her time in France she became a puppet of two of her closest confidants. She was not the wisest of women and remained oblivious to Leonora Galigai and Concino Concini who were out for power but luckily never resulted in anything major (Brittanica). 1610 came with the assassination of Maria’s husband, leaving the throne to her son Louis XIII, who would then have to wait because he was only 9 years old. After the death of Henry, the queen became snappy, irritating and unappreciative. After getting even with Henry’s mistresses and various courtiers, and advised “unscrupulous Italian” Concino Concini and later the famous Cardinal Richelieu (Brittanica). Maria managed to overcome Henry’s death and overstay her regency to 1617. When son Louis XIII took over, Concini was assassinated, Richelieu became even more powerful as chief minister, and the half Habsburg half Medici Maria was exiled to Castle de Blois due to her political ties with the Hapsburgs and Spain. After two years in the Castle she allegedly escaped by rope with the help of her artist, Rubens. Later, with the help of Cardinal Richelieu she then reconciled with her son. Despising Cardinal Richelieu however, for being so close to her son she attempted a coup to remove him in 1630, but failed. Her failure led to her exile for good to the Netherlands in 1631 as Bourbon France took on Habsburg Spain. However it was not here that Maria would leave her mark. Maria left her mark on history and her legacy in those that would come after her. Among Maria’s descendants would become the most famous Louis XIV, “Louis the Great,” “the Sun King,” who also became the longest reigning king in French history. In addition to Louis XIV, she would give birth to Elizabeth, later the Queen of Spain, Christine, later the Duchess of Savoy, Henry, later the Duke of Orleans, Gaston later the Duke of Orleans, and lastly Henrietta the later Queen of England. Her legacy unlike Catherine’s ended on a much higher note as her children would start long lineages of royalty all across Europe, coining Maria’s nickname as the “Grandmother of Europe” (Saward, 311). The two Medici queens had many similarities and many differences. One can quickly see that both of their childhoods were one of sadness and hardship. They were both arranged to marry a man they had never met, that lived thousands of miles away. They both were shipped off, away from the little family they had left. It is quite possible that it is exactly their upbringing and youth that shaped them into the negatively connoted queens they are regarded as today. Both were not seen as fit queens and hated by the French people. Unfortunately as well, both queens were not regarded as the most aesthetically pleasing women either. In addition both of their husbands passed before them leaving them in power of one of the most powerful countries in Europe. The queens’ differences are interestingly many. Although studied in a mostly negative light they both seemed to do a decent job of keeping France afloat and staying in power. However, Catherine was much more instructed, with both her mind and body she was a much better queen, especially under her circumstances. As a woman highly known for her wits and hunting abilities she presents a much more independent woman that simply fought back for not only herself but her sons. Maria on the other hand was not intelligent and actually let herself be manipulated by her confidants. She had no admirable skills that are ever mentioned and let her husband off with his mistresses. Although their upbringings may have been, with a few exceptions, very similar their time in Paris was not. They were two different French queens but very similar Medici women. In a way they were opposite ends of the spectrum in regards to their political life. Catherine was extremely involved, knew the court well and how to impose her will and push her agenda whereas Maria seemed to barely hold onto power. Then when her son came of age she was quickly sent away and basically kept away from any position of power. Their relationships with their sons were also very polar opposite. Catherine is depicted in literature and films such as 1994’s Queen Margot directed by Patrice Chéreau; where she is shown to be very affectionate to her sons and very family oriented. Whereas Maria was the absolute opposite in this respect, her son exiled her twice after her incompetence on the throne. Nonetheless, one can see the utter differences and peculiar similarities between these two queens in their early years and their time as French royalty. However the main difference lies in their legacies. Although a better queen all around, it was the state of affairs she had to deal with that ultimately led to her violent and infamous legacy. Known by some to the extent of being a “Poisoner, besotted mother, despot, necromancer, engineer of a massacre: the stain on the name of Catherine de Medici is centuries old,” clearly demonstrated the more gruesome depictions of the Queen (Catherine de Medici, Frieda). Then on the other hand, Maria, the more incompetent queen who ruled rather poorly, ended up with the greater legacy thanks to not necessarily her intent but more so how her children wed after she passed. As much as the French may have despised the Medici queens and how poorly they represented Florence, but thanks to them Florentine blood would forever run throughout the bloodlines and history of regal Europe. So what started as a move by Piero the Gouty and Lucrezia Tornabuoni to marry their famous son Lorenzo the Magnificent to a wealthy Clarice Orsini as an arranged consolidation of power, then served as a catalyst in the Medici family marriages. This trend of arranged marriages was not only spurred by the Medici success but also their ambition for power and prosperity. Their ambition succeeded, with a bloodline that can be traced to even modern day royalty, these two unanticipated Medici women’s legacies, made it possible. Frieda, Leonie. Catherine De Medici: Renaissance Queen of France. New York: Fourth Estate, 2003. Print. Havemeyer, Janie, and Peter Malone. Catherine De’ Medici: “the Black Queen” Foster City, CA: Goosebottom, 2011. Print. Saward, Susan. The Golden Age of Marie De’ Medici. Ann Arbor, MI: UMI Research, 1982. Print. Queen Margot. Dir. Patrice Chéreau. Perf. Isabella Adjani, Daniel Auteuil, Virna Lisi, Jean-Hugues Anglade. Miramax Films, 1994. DVD. “Catherine De Medici.” Catherine De Medici. History Learning UK, n.d. Web. 24 Nov. 2013. <http://www.historylearningsite.co.uk/catherine_de_medici.htm&gt;. “Marie De Medicis (Queen of France).” Encyclopedia Britannica Online. Encyclopedia Britannica, n.d. Web. 25 Nov. 2013. <http://www.britannica.com/EBchecked/topic/365073/Marie-de-Medicis&gt;. Dante Alighieri and his work La Comedia have had immeasurable influence on Western literature since the 14th Century. However, it has now become common for people to reference the Comedy simply by its first canticle, Inferno. Many suspect this happened because Inferno has experienced the greatest response from its critics and readers over time. An analysis of motifs, themes and symbols used by Dante in the Inferno will shed light as to why writers have always gravitated towards the Inferno more than the Comedy as a whole. From Ezra Pound, T.S Eliot and Osip Mandelstam to more recent W.S. Merwin, Seamus Heaney and Robert Pinsky, modern poets at every bend have been drawn more so to the Inferno than to the other two canticles. Dante’s Comedy is an example of poetry’s world-creating power, a perfect manifestation of the locus amoenus, an ideal imaginary place and of a poet’s success throughout his own spiritual and political exile. It is impossible to simplify the iconic complexity of Inferno to a diminutive list of noteworthy symbols. Because this poem is predominantly an allegory, it exploits its themes, hundreds of symbols, and literary devices. Dante even indicates that his works must be read through more than one lens. The Comedy must be read literally, allegorically, morally, and anagogically; therefore not making this epic poem the simplest of reads. That being said, an analysis of major symbols and motifs and will offer an explanation as to why Dante encrypted his work with these symbols and why the Inferno is sought after much more than the rest of the Comedy. Dante’s Inferno is rich in themes. As you flip through the book, these themes jump off the page and soak its reader with irony and provide examples of symbolic retribution. This term represents the punishments sentenced to the souls, directly and equally according to the sins committed on earth. In the Third Circle of Dante’s Hell, there are many examples of this poetic righteousness. The gluttonous reside in a valley of muck, awaiting the terrifying jaws of Cerberus. Gluttons are people who overindulge in their desires, whether it be for others or their own finances, hospitality, or food. Gluttonous people in Dante’s Inferno suffer this punishment for a reason: they are both punished by the endless rainfall and by Cerberus. The symbolic reckoning demonstrated here is that of the glutton’s endless overindulgence during their time on Earth. Therefore, now they must endure an eternity being indulged by eternal God’s wrath. Dante’s use of irony in the Inferno openly allows the reader to relish in the misery of the eternally punished for committing these sins. This equivalence represents a sense of balance, almost to the point of echoing Hammurabi’s “eye for an eye” ideology. The sinner suffers to the degree of his sin. As Dante continues into the 9 circles of Hell, the sins as well as the punishments become worse and worse. Initially in the Inferno, Dante shares very compassionate relationships with those he encounters in Hell. He builds great sympathy for the sinners and souls around him. However, the farther he travels, the less pity he feels for the souls he encounters. This again relates to God’s equal judgment in terms of the severity of every sinners punishment. The farther Dante travels, the less pity he has for those he sees. Dante’s Inferno can also be seen as an imaginary classification of sin. How he classifies sin is a reflection of his morals and judgment as a Catholic and as a man of politics. We see that a man that accepted a bribe is in a deeper circle of hell than a man who committed murder. Dante’s narration of Hell with Virgil follows first and foremost that of Christian doctrine and then Dante’s personal ideology. Dante’s political affiliations also affect the severity and position a sin holds in Hell. Additionally, just as God’s judgment, none of his structures are explained or reinforced. Dante offers every form of background and introduction but never any explanation of why each sin, is where it is. Immortality for many writers comes through their stories. This is a theme that has transcended time. For Dante, this immortality and legacy was of utmost importance. Not only do the many souls ask Dante to retell their stories but he also sees his own immortality when he cites himself among the best poets of all time. He sees Horace, Ovid, Virgil and many others including himself. Although suffering in Hell, many of the souls hope that through their stories, they will live longer than their mortal lives allowed. For example in the Eighth Circle of Hell Dante actually denies souls the favor of bringing words of warning to men on Earth. Although being directly denied, in the greater perspective he is granting their wish through his writing. Keeping in mind that all these stories are of sinners, he allows for some to “continue living” through his literary legacy. However, while emphasizing the legacy of others, he also takes advantage to advance his own legacy. In Canto XXIV, in his description of the Thieves’ punishment, Dante asserts that he has exceeded both Ovid and Lucan in his ability to write and depict metamorphosis and transformation. This is in reference to Ovid’s Metamorphoses which focuses entirely on transformations and Lucan’s Pharsalia, an interpretation of ancient Roman political transition and chaos in the first century B.C. By claiming to have outdone these two renowned classical poets he seeks to secure his own immortality in the literary world. Therefore Dante uses storytelling as a vessel for many legacies. It is not only the storyteller but also the subjects of the stories he includes that continue with him and transcend time. On the other hand lays an indisputable motif. Dante also pursues many political arguments. An extremely significant part of his agenda in the Inferno was to comment on the disastrous political atmosphere in 14th century Florence, while keeping in mind his biased and his exile from the city. He not only condemns political enemies ruthlessly but also predicts and condemns figures ahead of time due to the Inferno being set years before. Thirdly, Dante asserts his position as a White Guelph in his supported ideology of separation between Church and state. However, due to the sensitivity of the topic he cautiously emphasizes its divine and political importance. The last scene in the Inferno also emphasizes this Christian and political duality as Lucifer is chewing on both religious and infamous political figures; by chewing on Judas, betrayer of Christ, and Brutus and Cassius, infamous betrayers of Julius Caesar, the most famous classical politician. Betrayal and mutiny of religion and state both merit the most severe punishment in Hell according to Dante. However, an important note is that with this political and religious sin, there are also instances where these two spheres cross. It is here, where the instance of a priest accepting a bribe that warrants a deeper circle in Hell than one who commits murder. This is another example to Dante’s emphasis on religion and state. These examples are only the tip of the iceberg in terms of this concept Dante presses on throughout the Inferno. References to the classics and mythology are also present motifs in the Inferno. As much as Dante refers back to Greek and Roman mythology, he also references Christian morality. It is interesting how Dante includes mythological creatures and ancient creatures in a Christian Hell. He includes beasts from Centaurs and Minos, to figures such as Ulysses and places such as the river Acheron and Styx. As mentioned before he also mimics the styles of great classical writers, Homer, Ovid, Lucan and Virgil. He mixes and includes all these classical and ancient traditions not only to create a “hybrid,” or ode to the classics, but to also represent his supremacy and greatness as a poet. Dante also recognizes the dramatic potential in using these ancient elements. By including all these traditions, with the overarching one being that of Christianity, he is pushing Christianity to the top while simultaneously acknowledging that all others are real, but simply, of the past. The symbolism in Dante’s work is endless. It is impossible to diminish the iconic intricacy of the Inferno to a short list of significant symbols. Because the poem is an extended metaphor, it uses symbols, ranging from the painstakingly small, to the major symbolic representation of the entire story of The Divine Comedy itself, to the spiritual journey of human life. For example the white banner representing the Uncommitted in Canto III representing the insignificance of their lives. Many of the symbols in Inferno are clear and easy to identify, such as the beast Geryon, with the head of a man and the body of a snake, he characterizes deceit and fraud. Some others are much more nuanced and difficult to recognize, such as the three beasts that stop Dante from the path up the mountain in Canto I. While reading the Inferno, it’s critical to take each element of the poem into consideration in accordance to how it fits into Dante’s allegory as well. Arguably the more significant, yet less obvious examples of symbolism in the Inferno are woven in the damned figures and their punishments which, as mentioned, correlate to their sins committed while they were alive. For example, the Lustful, who are blown around in a violent storm but never come into contact with one another as their punishment. Another important symbol Dante uses are figures who represent human qualities, such as Virgil and Beatrice. Virgil is the representative of reason and Beatrice is the representative of spiritual love. Settings also represent Dante’s emotions, such as the dark forest in Canto I, demonstrating Dante’s confusion and fear. Figures in Hell also represent something more than merely their sins. An example of this is Farinata, who characterizes qualities of leadership and political dedication that surpass his character as a Heretic in Hell. A brief but contextualizing analysis of all these themes, symbols and motifs, as a whole lead to why Dante’s Inferno has always been so appealing to contemporary writers. Concepts such as death, the afterlife, Hell, judgment, strife and suffering have always been easy topics to relate to not only on a Platonic level but also very intimately. Love, leading to suffering and the conquest of women, has fueled many writers in many different ways. Both T.S Eliot and Ezra Pound take their works to an even closer connection with Dante by making clear references to Dante’s work. Eliot, in a more subtle fashion, takes concepts and methodologies from Dante; whereas Pound literally names his work Cantos. Eliot wrote The Wasteland partially about his personal struggles and experiences, but many have seen it as a portrayal of a modern Inferno, a depiction of a shattered Europe, filled with entire societies missing optimism or vision. Pound had begun work on the Cantos even before the publication of The Wasteland in 1922. Like Eliot, Pound liked using multiple perspectives. However, Pound often pictured his Inferno as an economic inuendo, full of the costs of man’s economic inhumanity to humanity. The troubles of World War I profoundly influenced both Ezra Pound and T. S. Eliot. The utter destruction of Europe’s physical and psychological aspects, no longer unified by belief or culture led the two poets down different paths. Eliot chose to remain in England after the war, and his personal issues and struggles as a poet led him to become both a British citizen and to join the Church of England. Pound on the other hand, found London intolerable and in an attempt to understand the economic causes of World War I, moved to Paris and later to Italy. Paradoxically this led him to support Mussolini in Fascist Italy. Both however, continued to recognize Dante as both a literary and spiritual idol. “I saw a banner there upon the mist. So it ran on, and still behind it pressed. Here Eliot is associating a similar link he makes in The Love Song of J. Alfred Prufrock in which the existing people found in the modern world closely bear a resemblance to Dante’s souls Hell. Eliot’s souls of the contemporary world that are without hope and without choice, Eliot parallels them the opportunists Dante and Virgil encounter. Eliot’s judgment on his world connects in a different sense. The real world for Eliot is full of the condemned souls of Dante’s Inferno. Throughout Pound’s Cantos he makes numerous references to politics, their injustices, and genocide in the same manner Dante does to not only the political world but also the Catholic Church, due to the beginning of the Jubilee in 1300. Whereas in comparison, Canto XXII continues with witty narratives comparing Pound’s philosophies of economic rational with the hardheaded, avaricious economics which Pound thinks have created his modern Inferno. On numerous occasions in the Cantos Pound overtly refers to the likelihood of a paradise on Earth, but once again is stopped by what he saw as bad economics. Both Ezra Pound and T.S Eliot saw Dante as not only one of the greatest poets, but also as a man who had written an epic poem, one which would serve them better than the classical models of Homer and Ovid or any other classical poets for that matter. Both of them also saw the medieval Catholic dimension of Dante’s work could not be used in a modern poem without substantial modifications. However, it is exactly for those themes and concepts used by Dante that have attracted so many other more contemporary writers to his work, more specifically, to his Inferno. Both Pound and Eliot chose to use drastic positions with drastically different voices to present their modern Infernos and they reached fundamentally different ends in terms of how to deal with life in the wake of World War I, just as Dante did in the wake of his exile. Through the connection of personal struggle, a concept that has, and will continue to transcend time, these writers have been able to relate not only to one another but also to their literary works, hundreds of years later. Eliot, T. S. The Wasteland and Other Poems. NY: Harcourt Brace Jovanovitch, 1958. Lummus, David. “Dante’s Inferno: Critical Reception and Influence.” Stanford.edu. Stanford University, n.d. Web. 21 Nov. 2013. Pound, Ezra. The Cantos. NY: New Directions, 1972. Terrell, Carroll F. A Companion to The Cantos of Ezra Pound. Berkeley: U of Cal P, 1980. “Dante Alighieri (1265 – 1321).” Ipl2 Literary Criticism. Drexel University, n.d. Web. 21 Nov.2013. Born and deceased in Italy, Salvatore Lucania is considered the innovator of organized crime in America. Once immigrated to America he reinvented himself, more commonly then known as Charles “Lucky” Luciano. Then, he reinvented the mafia. Along with his childhood friend Meyer Lansky, they’d come to change to face and future of the Mafia in America. Luciano’s rise to power however was not an easy one. Granted with gifts of ambition and intelligence, Luciano worked his way to the top. Between his knack for business and ruthlessness he forever changed his face and the face of organized crime. Growing up in Manhattan’s Lower East Side he became one of the first bosses of the American mafia that grew up in the States. However like all good things, Luciano’s dominance also came to an end after a series of unfortunate events that led to his arrest and eventually his death in 1962. When Luciano was 10 years old he immigrated to New York City. At 14, Lucky dropped out of school and got a job delivering hats throughout all five boroughs earning $7 per week. School just was not for little Sal Lucania. But it was down on Manhattan’s Lower East Side that Luciano first met his friend and later lifetime associate, Meyer Lansky, a young Jewish boy also living in Manhattan. This during the time was unusual. Mixing of races back then was frowned upon and not accepted by many Italians. This small example is only a taste of Luciano’s perspective for the greater picture. He wasn’t old school; he didn’t care about how the old bosses ran things. Luciano was after one thing and one thing only, money. Luciano never saw color or race as a problem and knew that business was business. His philosophy was simple, “There’s no such thing as good money or bad money.There’s just money” (SearchQuotes). Allegedly, after winning $244 in a game of dice, Luciano quit his hat delivery job and turned to the streets for money. It was this street sense that separated Luciano from the rest. While still in his teens Lucky started his own crew. Unlike other groups of kids during that time, Lucky didn’t deal with the small petty crimes to make money. Lucky and his crew offered other gangs Italian, Irish and Jewish protection for ten cents per week. It was from this crew that his friendship with Lansky grew and where both became well known in Manhattan’s neighborhoods. It wasn’t long until Lucky became a key player in New York’s crime syndicate at the head of the Genovese crime family. During the United States’ Prohibition Era, the American Mafia thrived to its peak in the 1920s. Bootlegging operations ran from Chicago to New York, New York to Philadelphia, down to Tampa Bay, Florida and everywhere in between. Various sources say that in 1925, at age 28, Luciano was making around $1.2 to $12 million dollars per year from his illegal activities that ranged from bootlegging, racketeering, gambling, waterfronts, unions, food marts, restaurants, bakeries, textiles, loan sharking, extortion, narcotics, fraud and prostitution (Time Magazine). Their operations slithered their way into every aspect of society, politics, legitimate businesses and law enforcement. During his time, Luciano was one of six major bootleggers, between Meyer Lansky, Louis Buchalter, Jacob Shapiro, Long Zwillman and Bugsy Siegel, they ran the alcohol trade all along the East Coast (Biography.com). In 1929, Luciano finally got his nickname after surviving a violent stabbing, leaving him with the characteristic droopy right eye. Who ordered Luciano’s stabbing was rumored to have been his former boss Joe Masseria. However a year later, Luciano, with rival boss Salvatore Maranzano’s blessing would have his revenge when he killed and replaced Masseria in April of 1931. By June of 1931, at age 34, Luciano was sitting at the same table as infamous mobsters such as Joe Profaci, Vincent Mangano, Tom Gagliano and Joe Bonanno. With the world in Luciano’s young hand, Maranzano quickly saw Luciano as a threat after the death of Masseria and wanted Luciano dead. However, little did Maranzano know that Meyer Lansky’s loyalty to Lucky was greater than his loyalty to him. The Luciano-Lansky duo led to the death of Salvatore Maranzano a month later in September of 1931. Both assassinations taking place methodically and thoroughly. After Luciano took out Masseria and Maranzano, he was now the boss of all bosses. His new position, the head of the Genovese crime family, now allowed him to make the changes that forever immortalized him in the history of the American Mafia. Luciano is considered the father of modern organized crime in America for structuring the five New York City crime families along with other families all across the United States. By creating a hierarchical council and chain of command, he revolutionized not only the Mafia in New York City but also that of all the United States. With a unified council or panel of leaders from every family, the Mafia was now efficient and organized. Luciano saw that war was bad for business and after seeing the effects of the mafia wars, Luciano sought peace. This council, which was named the Commission, was a conglomerate of families that comprised the American mafia. After enjoying years at New York’s luxury hotels, the famous “Waldorf Astoria in Waldorf Towers, custom tailored suits and chauffeurs;” Lucky’s luck was running out (History.com). The special prosecutors name was Thomas E. Dewey. In 1935 he was ordered to look into New York’s organized crime activities. Following his investigations, Dewey found Bronx mobster Dutch Schultz involved in many illegal activities and was planning to convict Schultz. However, when Schultz came to find out that the detective was on his tail, he planned to murder Dewey to prevent his investigation from continuing, but there was a problem. Realizing that this murder would cause a major crackdown in the mafia’s activity, the Commission ordered Schultz to stand down. When Schultz decided to disregard the Commission’s decision, the Commission murdered Schultz in a New Jersey tavern. With his suspect dead, Schultz’s murder only led Dewey straight to the Commission and ultimately Charlie Luciano. With Dewey nipping at anything he could get on Luciano, in 1936, he caught his break. Luciano’s luck ran out when he and some of his men were brought to trial and convicted of prostitution and extortion. The trial started in June and by May of 1936 Luciano was sentenced to 30 to 50 years in prison. Stymied intelligence agents turned to the underworld for help. Lansky, known in the ’30s for breaking heads at pro-Nazi meetings, acted as liaison and was allowed to visit Luciano. Lucky put the word out to cooperate, and formerly mute dockworkers, fishermen and hoodlums became the eyes and ears of naval intelligence. Soon eight German spies, who had landed by U-boat, were arrested, and explosives, maps and blueprints for sabotage were seized (Time Magazine). So in exchange for important information and local cooperation, Luciano was released with parole and banned from US soil. Briefly after his deportation, Luciano couldn’t stay away. He traveled to Cuba months after his deportation to Sicily to rendezvous with old associates. There Lansky and Siegel met him and helped him continue running his operations. Unfortunately for Lucky, after the war in 1947 the United States government pressured Cuba into sending Luciano back to Italy. With the ability to keep a better eye over him, he was forced to stay in Naples by the US government. His time in Naples ultimately led to his demise on January 26, 1962 due to a heart attack. 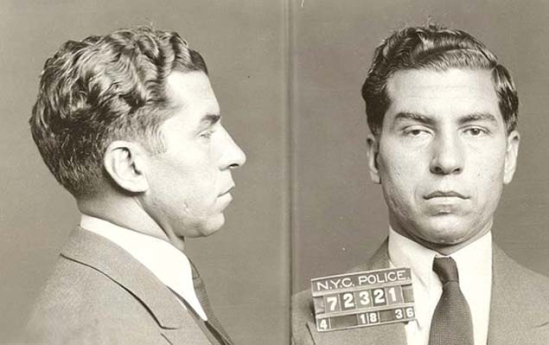 Even though Charlie “Lucky” Luciano’s last days were spent in Italy, his body was allowed to be returned to St. John’s Cemetery in Queens, New York where his parents buried him in their family vault (Time Magazine). However here, he was laid to rest under his birth name; Salvatore Lucania. Charlie “Lucky” Luciano was not a model citizen. He made the best of his situation with the cards he was dealt and used his talents to the best of his abilities but simply in the wrong world. Luciano’s legacy will forever continue and forever be known as the architect of the American Mafia. He will be remembered not only for his ingenuity and cunning but also his ruthlessness and understanding for a greater perspective. Buchanan, Edna. “LUCKY LUCIANO: Criminal Mastermind.” TIME.com. TIME Magazine, 07 Dec. 1998. Web. 04 Nov. 2013. <http://content.time.com/time/magazine/article/0,9171,989779,00.html&gt;. “Charles “Lucky” Luciano.” History.com. A&E Television Networks, n.d. Web. 04 Nov. 2013. <http://www.history.com/topics/lucky-luciano&gt;. DAILY MAIL REPORTER. “The Moment ‘Lucky’ Luciano’s Luck Ran Out: Black-and-white Pictures of Notorious Mob Leader and the High Class Prostitutes Who Led to His 1936 Arrest.” Mail Online. Associated Newspapers Ltd, 28 May 2012. Web. 19 Nov. 2013. <http://www.dailymail.co.uk/news/article-2151027/Black-white-pictures-mob-leader- Charles-Lucky-Luciano-high-class-prostitutes-led-1936-arrest.html>. “Lucky Luciano Biography.” Bio.com. A&E Networks Television, n.d. Web. 19 Nov. 2013. <http://www.biography.com/people/lucky-luciano-9388350?page=2&gt;. “Lucky Luciano Quotes.” Lucky Luciano Quotes. SearchQuotes, n.d. Web. 19 Nov. 2013. <http://www.searchquotes.com/search/Lucky_Luciano/1/&gt;. I recently read this article on bonds and stocks by Michael A. Gayed on MarketWatch.com and found it pretty damn interesting. A lot of what I’m about to say is going to be reiterating his thoughts, but I though I’d share them with you/ summarize to make it a little bit easier in lay man’s terms. So this smart guy knows that when bond yields go up, stocks start hurtin’. His point is that after last week, after Bernanke’s talk about the Fed’s position and the volatility in Japan this recent confidence and stability is only an illusion. I like the way he’s looking at what the Fed is doing. Gayed stresses that the Fed is simple “confusing and conquering.” By this he means, say something that can be interpreted 100 different ways, say something confident but not too confident, but nonetheless whatever you do don’t get excited. Additionally Gayed also adds that the Fed should really cut down on talks about tapering if they don’t want to deflate the momentum the housing market has recently experienced over the last few quarters. The position Gayed takes on this is a position I like. Why else would the Fed come out like this? I mean, I’d like to think they aren’t just a bunch of confusing fools and actually have a reasoning for their ways. Additionally, this stock and bond relationship is highlighted perfectly in reference to whats going on now. Preferably, I’d obviously like to see a nice balance, in tandem with the economy. But I think it’s smart that the Fed is doing what their doing so that the market doesn’t trip on its shoelaces once people realize the economy isn’t so great. Recently got out of the daily 9AM trade floor meeting. I was so tempted to bring up this little theory that I’ve developed over the past couple months; patents pending. However, in a room full of geniuses, I didn’t say anything in-case someone found it utterly stupid for “the intern” to put his two cents in, especially if my little idea was already known. However, during the last couple weeks of school, on April 29th. I went to a talk at Brown University that involved a couple former Latin American Presidents. One was Ernesto Zedillo Ponce de León, a Mexican economist and former president of Mexico from December 1, 1994 to November 30, 2000. Approximately a month before, I had given a presentation on the reality of Brazil as an emerging market among the BRICs and if it was actually leading the BRICs, aka fulfilling the economic prophecies. My findings led me to an article that helped me formulate my presentation. It, among other sources, pointed out that Brazil was underperforming and it’s as simple as that. It was not leading the BRICs and had under-preformed during the last few quarters. So the question is, why? Well, my theory or as I call it, phenomenon, is that of globalization’s impact on emerging markets. The world is no longer flat. We know in a matter of seconds what is going on with the Nikkei over in Asia and milliseconds whats going on with the FTSE in London. Between the critics, the analysts, the media and speed that information travels today every move is speculated and known instantly. The connectivity is truly unbelievable between markets. With this integration of markets, an emerging economy is killed by it’s own hype. The analysts, speculators and media kill the potential of these emerging economies. Former President Zedillo coined the concept perfectly during his talk, labeling this mentality as a form of complacency. He related it to Mexico’s potential and arguing that outlets and economists (WSJ, Bloomberg, FinancialTimes, etc) tell the world that Mexico and the BRICs are going to be growing economies and have endless potential, so the country grows a little and figures because everyone in the financial world is saying they’re going to be good, that there’s nothing to do but sit back and let it happen. This is the complacency factor and phenomenon that globalization has caused and that the world economies have never seen. Never in our history have markets been so connected and information been so readily available; therefore causing this hype. I mean, I think it’s rather simple. Now to relate this back to the meeting this morning, the fact that emerging markets currencies all haven’t been returning as much as people have hoped for other than the MXN Peso was brought up and questioned. Other, all very plausible factors were also thrown into discussion but I was surprised nobody had addressed anything close to my idea and it left me wondering if it would be relevant or worthy of consideration. Even if so, I don’t think there would be a way to quantify it’s (globalization/complacency theory) impact, which poses a problem were it to be taken into account. Nonetheless, I would be very interested to see if anyone talks about this or if this becomes a big deal as markets integrate more and more. Banco Compartamos was formed in 1990 as a private organization to aid the poor in rural areas of Chiapas and Oaxaca, Mexico, by providing microloans to the low income population of the region. In 2001, Carlos Danel and Carlos Labarthe, known as “the two Charlies,” took the organization private, and then in 2007 took Compartamos public in an IPO valued at $1.56 billion. Compartamos executives received $150 million of the $450 million in proceeds. Banco Compartamos became one of Mexico’s most successful banks, with an average return on equity of at least 40 percent. However, after the IPO many criticized that Compartamos no longer benefitted the people but more so worked for its shareholders, a disservice to the world of microfinance. Many in this field saw such a successful and model microfinancing bank completely sell out to the world of big banks. There was also a worry in Compartamos’ social mission being lost. With the 27.1 price to earnings ratio Compartamos had after the IPO, it was harder to reduce rates if need be in the future, and this indicated high profit expectations which meant tending to the needs of the shareholders was going to be high on the priority list. This new dimension to the company is exactly what made others believe Compartamos had lost their way and was taking the wrong path. This IPO also meant rapid growth in the front office, which meant spending more money to catch up the back office with management info systems, a huge fear in the world of microfinancing. 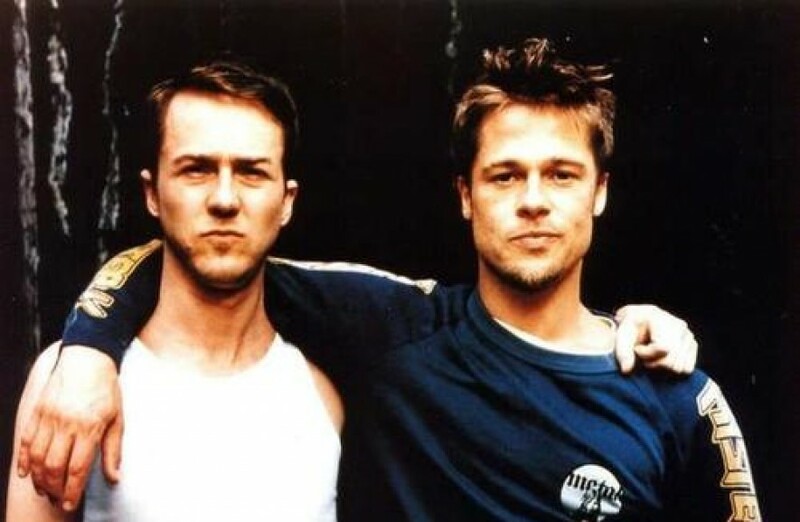 In weighing their options, the two Charlies considered a private sale of the company, but saw that a private sale had biggest threat to company because it would threaten the current mission and strategy if it were to be under new management. Another option was to continue looking for private investors, which is not only time consuming but demands higher returns and raises less capital than a public offering. Therefore a public offering seemed to be the only viable option under a couple conditions. Some of the conditions ran along the lines of no more than 30% of shares could be sold and no single investor could own more than 10%, to avoid one investor becoming too powerful. With enough leverage, the two Charlies could still run the company their way with their mission. The IPO proved to be very successful, bringing in $1.56 billion in capital, selling at around $40 per share. Such a figure could have never been raised by non-commercial investors. However, this money had now made an almost impossible goal of 1 million clients, attainable now. A goal that they had set back “in the NGO days,” was a reason they saw themselves still on the right path. The capital now allowed them to expand to more clients and allowed them to offer different products other than their GDI. Among these two were many other opportunities of expansion. The cost of setting up a bank prior to the IPO was around $50,000, to build a new branch now that complied with banking standards cost around $200,000. So even though the new capital allowed expansion, it was almost relatively the same. The two Charlies also mention advice that made them consider what they had done from Luis Velazco saying, “Strategy drives finance and not the other way around.” Velazco’s words resonated in them as they wondered if their method of financing was really a medium to carry out their mission and strategy or not. As the CEO of Compartamos I would have been against the IPO. I would have been against it because I believe it has distracted the company. It has brought another dimension that needs attention and thus removing administrative attention from their mission and purpose. The company had clearly been successful up until that point, with ridiculous returns on investment; I don’t see how hard it actually would have been to find more investors. The IPO simply juiced up all their operations but when their goal is to reach 1 million clients and the cost of a new branch is amplified four fold then they’re relatively in the same place. In addition to all the regulations, standards, quarterly reports and critizing by the financial world of Wall Street they must deal with now. If anything I believe if the company’s purpose is to provide low income financing, it should do that and grow at its own pace, especially if it has been so successful thus far. If the two Charlies had other ambitions, they should have made a separate company or entity to run alongside their private bank. Running the same programs but for profit and then going public would have been the more rational thing, as long as they kept one of the entities fully dedicated to its purpose of microfinancing.